All homeowners like to take pride in their homes and properties, we are just naturally wired that way. From the perfectly placed accoutrements and tidy guestrooms to the crystal-clear swimming pool water and cozy outdoor lounge set, we know that paying attention to the details makes our homes comfortable and welcoming. In the grand scheme of things, the top priorities for a perfect property fall in the order of inside first and outside second, but by the time we come to the front of the home, we seem to either run out of creative steam or we say, we will get to it next spring. The front of the home, even if last priority, should be given the same amount of attention and detail as the rest of the property…it is your first impression to your neighbors and guests after all! 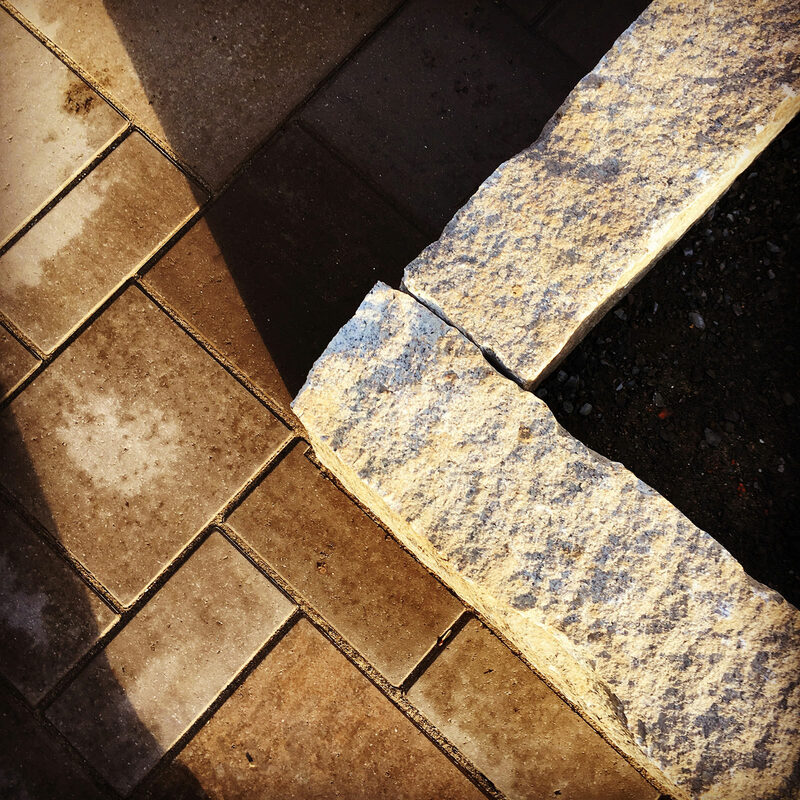 If not wanting to perform a complete overhaul of the front of your property including major revamps like residing the house or installing a new driveway, here are a few designer details you can implement to kick your curb appeal up a notch! Have you ever tried to find someone’s home for the first time, and found yourself driving 4 miles per hour down the road and squinting trying to see the tiny addresses on mailboxes to tell where you are? Talk about instant-frustration! Well, to help the UPS drivers and new-found friends find your home a little easier, you can display your address prominently with a designer flair. Take your house number and spell it out in metal letters and fasten them by the front door or attach architectural numbers to the front fence or a front flat-faced boulder in a prominent part of the yard or drive. Perhaps you are looking for something more unique? Displaying your house number on an upright slab of granite or decorative concrete pillar at the end of the driveway will surely stand out amongst the mailboxes with plastic number stickers on the side. Speaking of fences, an old, worn-out or failing fence is a number one way to sully the appearance of your property, and different types of fences will send different signals to the community. A chain link fence may send a negative or private vibe, whereas a white picket fence or stone veneer retaining wall may send the exact opposite. It is important to understand that your property has the power to convey feelings with your selected choices of feature and materials. So if you have a barrier that hasn’t been well-maintained, now is the time to give it some love or opt for an upgrade! You can’t go wrong with a tropical hardwood slat, aluminum or vinyl fence…they are low maintenance and stylish at the same time. While your local municipality will dictate the height and setback of your fences and walls, keeping these features looking clean and well-maintained will aid in your pursuit for the perfect property. You may be thinking, why should I change my mailbox, it only holds paper, it’s not worth it. Oh, but it is! After your sweat-equity and energy is spent sprucing up the front of your home, why have just any run-of-the-mill plastic mailbox at the forefront? 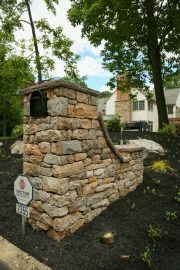 While the options are limitless when it comes to custom structures like mailboxes, you just can’t go wrong with stone, metal or wood materials. This custom mailbox will be a strong indication of design and property detail, elevating your curb appeal to the next level. Bonus points if you find a way to implement your house number in a creative and aesthetic way to your new feature! *Designer tip: While it is tempting to plant flowers or climbing flowering vines at your mailbox for instant beauty and color, try to stick to non-flowering plants. Your good intentioned flowers attract bees and insects that will wreak daily havoc on your mail carrier! A little decorative art to display your family’s personality will go a long way. Now, this does not mean you should cover your front landscaping in plastic pink flamingos; we are talking about a piece or two of sculpture or statue to give the area your personal touch. It is best to select art that will complement the style of your home. A more contemporary style home may call for a simplistic steel piece, whereas a more rustic style home may be complimented by a more primitive piece of art carved out of wood or forged iron. Landscape embellishments can also be a creative solution to hide unsightly pipes or front yard flaws that you can’t correct. However you choose to incorporate your personal appeal, do keep in mind that a little goes a long way when it comes to accessories and embellishments. The goal for the front of your home should be clean and simple with carefully chosen materials and additions, not busy and confusing! If we have seen it once, we have seen it a hundred times… garbage cans hanging out where they shouldn’t! No one really wants to look at trash receptacles, even when it is trash day. What is the solution, besides keeping the cans hidden in the garage 6 days out of the week? Installing a garbage can storage area at the side or back of the home is the answer you may have been waiting for. Installing a white vinyl or natural cedar fence, approximately 5’ tall and at least 10’ long will provide ample room to store those eyesores. *Designer tip: if you have little existing outdoor storage or the shed is already packed to the brim, opt to make the length of this fence a tad bit longer. This extra room is perfect to store the eyesores and also be the home for yard clutter like bicycles or rakes, shovels and icemelt! It doesn’t have to take a lot to improve the look of the front of your home, harmonizing it with the rest of the property. A few strategic designer details here and there will heighten its aesthetic to create an inviting and cohesive space. 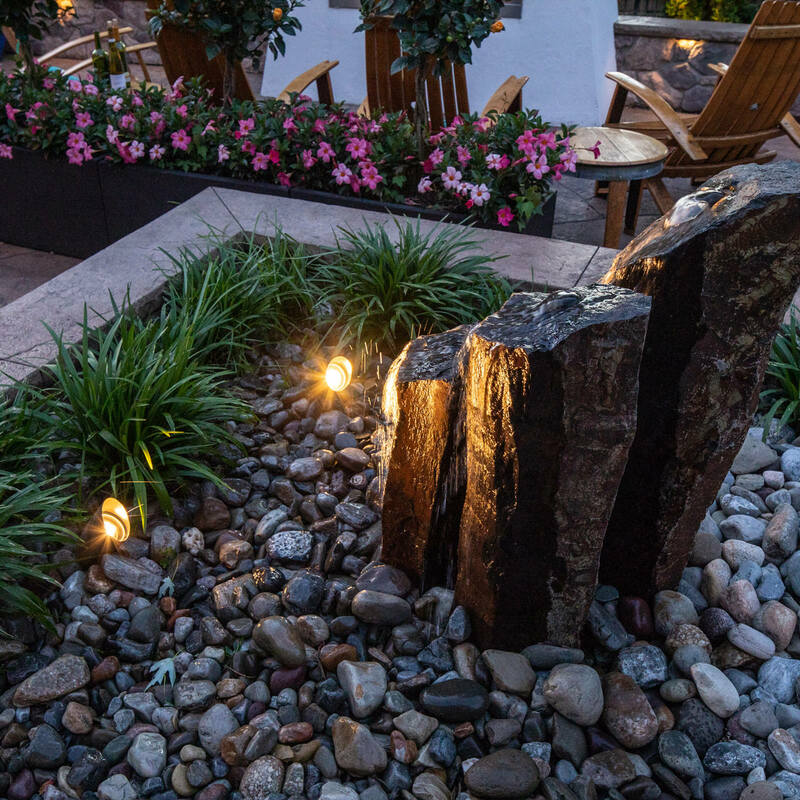 For those who lack the design vision or simply just don’t have enough hours in the day to make their outdoor spaces shine, reach out to us at MasterPLAN Landscape Design! 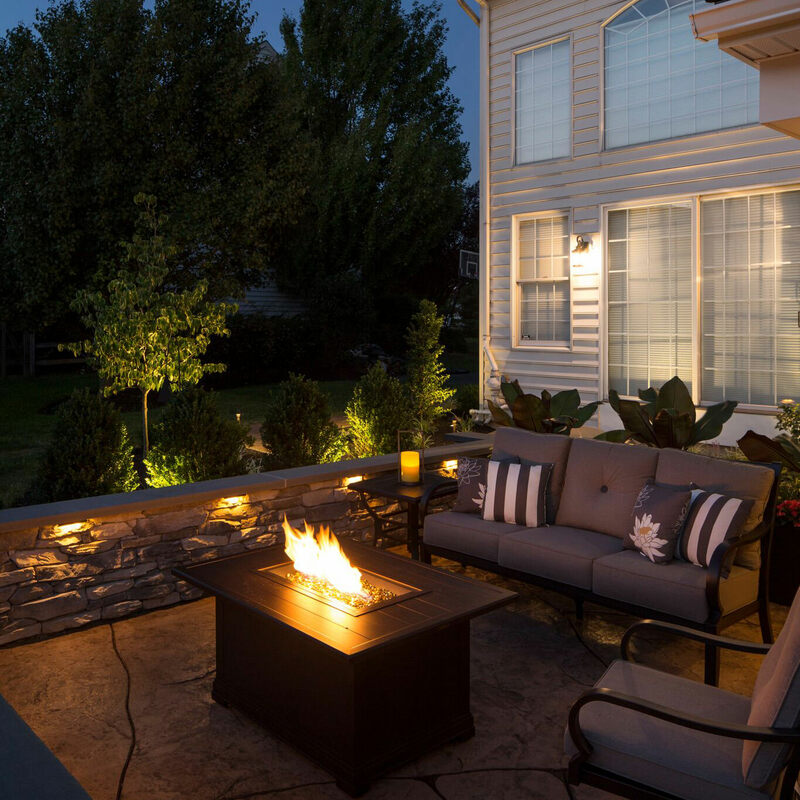 MasterPLAN specializes in creating outdoor living transformations and managing the process from concept to completion. 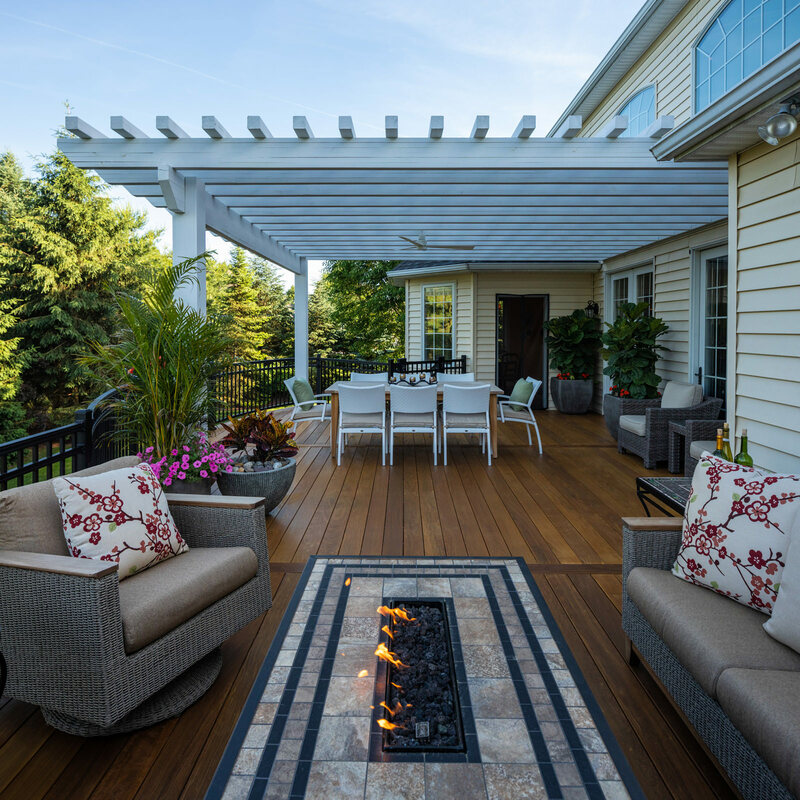 Serving the Poconos, Lehigh Valley through the Main Line of Philadelphia and western New Jersey, we would love to hear about your outdoor aspirations and partner with your family to create a beautiful and functional property that fits your lifestyle. When you are ready to chat about your options, we are ready to listen!